We never thought we’d say this, but we’re so glad someone caught Patti LuPone on Facebook Live. 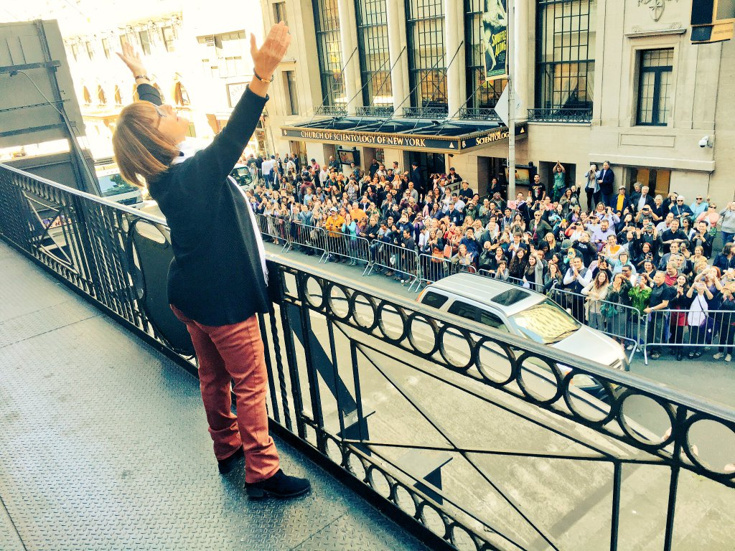 The Tony-winning grande dame took to the streets outside the Richard Rodgers Theatre to serenade Hamilton lotto hopefuls during the May 18 #Ham4Ham show. Check her out in her pre-matinee finest as she belts “Give My Regards to Broadway," nearly causing Lin-Manuel Miranda to spit take. Side note: What does her button say? Is she finally campaigning for official mayor of the Great White Way? Assuming that’s the case, she has our vote.